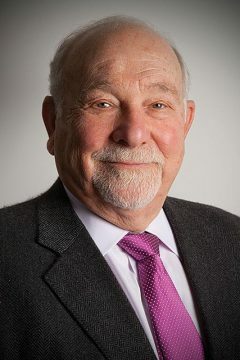 Joseph A. Chazan M.D., photo by Scott Lapham. In 2008, I initiated the NetWorks project with Umberto Crenca of the Providence arts space AS220 to document and feature accomplished visual artists working in Rhode Island. Since then, 64 artists have been the subjects of photographic portraits and videos through annual editions of the NetWorks project. The artists documented in 2011 and 2012 and presented here comprise the latest group. Portraits by Scott Lapham capture the essence of the artists, and videos by Richard Goulis demonstrate depth and insight into the lives and work of these individuals. This catalogue, by Malcolm Grear Designers, expertly and elegantly forms a permanent record for this edition of the project. Finally, the Newport Art Museum’s summer 2013 exhibit, curated by Nancy Whipple Grinnell, professionally displays examples of these artists’ work. Nancy Grinnell, photo by Daniel McManus. 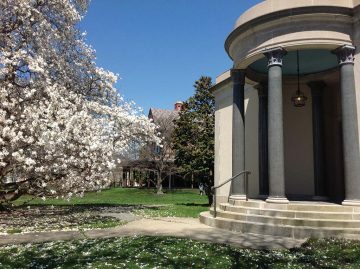 The Newport Art Museum is pleased to host NetWorks 2011–2012, with its outstanding roster of diverse and accomplished Rhode Island artists. This marks the third NetWorks exhibition at the Museum, and it is particularly noteworthy that in 2013, as we observe the 100th anniversary of our school, the NetWorks group includes an inordinate number of art educators. 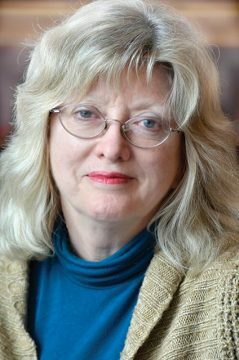 They include longtime Brown University professors Richard Fishman and Wendy Edwards; Rhode Island School of Design Professor Emeritus John Udvardy and current faculty Nancy Friese, Andrew Raftery, and Duane Slick; and Bunny Harvey, who has been teaching at Wellesley College since the 1970s. Others are adjunct or part-time faculty, such as Kate Blacklock at RISD, Tayo Heuser at Roger Williams University, Jane Masters at Connecticut College, and Lucas Foglia, visiting faculty at the San Francisco Art Institute. No less important are those who teach or mentor at the secondary level, such as award-winning art educator Laura Travis at Hope High School; Nilton Cardenas, an educator in the Providence public schools; Scott Lapham, co-founder of the AS220 Darkroom; and Andrew Moon Bain, co-founder of Urban Social Empowerment. Another hallmark of the NetWorks project has been Joe Chazan’s concerted effort to represent the diversity of the Rhode Island arts community, and NetWorks 2011–2012 continues in this direction. In their videos, the artists talk about their roots. Several are “first generation”: Duane Slick identifies as a first generation “urban Indian”; Philip Jameson is a first generation Greek-American; Nilton Cardenas emigrated from Peru; Jane Masters, born in London, grew up in Europe and Barbados; Janet Prip is a fifth generation Danish metalsmith. The work represented in the Newport exhibition spans the spectrum of the region’s art, from the “outsider” genre of Mark Taber’s assemblages to the formalism of Tayo Heuser‘s drawing; Wendy Edwards’ and Duane Slick’s painting to the exquisite craftsmanship of Philip Jameson’s photography and Andrew Raftery’s engravings. As diverse as they are, the NetWorks 2011–2012 artists have many commonalities, particularly in their approach to art making. Several did not set their career courses in the arts, but rather had degrees in other fields. Nancy Friese studied nursing, Philip Jameson was and is a radiologist, Nilton Cardenas studied journalism, Barnaby Evans received his BS in biology and environmental sciences. Others, from the beginning, have combined their love of music and art. Andrew Moon Bain composes, produces and performs music and creates vivid paintings, prints and installations. Brian Chippendale brings his dual passions to comic book and poster art, as well as to rock music—he is drummer and vocalist for Lightning Bolt. In Mark Taber’s found object assemblages one will often find parts of old keyboards, perhaps symbolizing a connection to his career playing the piano. The Irish set dance and other traditions of Celtic culture co-exist alongside Laura Travis’s practice of the ancient art of stone carving. The studio represents a comfort zone for many NetWorks artists. Tayo Heuser is happiest when moving her ink-laden pen oh-so-slowly in a fine line on her paper. This meditative experience is also inherent in the work of Jane Masters, who pokes hot steel methodically into Arches paper to create abstract patterns. Withgreat practice, Wendy Edwards extrudes oil paint in net-like configurations over her canvases. To create the abstract designs in her rugs, Meg Little systematically ascends steps to punch tufts of wool into a large matrix. Esther Solondz finds that her solitary experience in the studio has led to a thoughtful exploration of the transformative nature of materials. Newport Art Museum, Courtesy of the Newport Art Museum. Other artists are more extroverted in creating their work. Corey Grayhorse works with a cast of characters in her photographs of cartoon-like scenarios. Scott Lapham interacts with people from all walks of life in his photographs of neighborhoods. Lucas Foglia also is invested in the people that he photographs, be they Rhode Island community gardeners or those living “off the grid.” Shawn Kenney paints food and the farm, bringing him into frequent contact with the culinary community. Perhaps those who engage with the largest numbers of people are Eugene Lee, Tony Award-winning set designer for numerous theatrical pro – ductions, and Barnaby Evans, creator of WaterFire. Lee and Evans both offer the ultimate experience in public art. Once again, the Newport Art Museum is privileged to host NetWorks, recognizing the importance of this multi-media, multicultural arts project. This exhibition serves as an opportunity to connect with the working lives of some of the region’s respected artists, to celebrate the importance of arts in our society, and to appreciate the range of talent that exists here in Rhode Island. The Museum acknowledges Dr. Joseph Chazan’s vision and his dedication to NetWorks, and we are excited to be part of it.